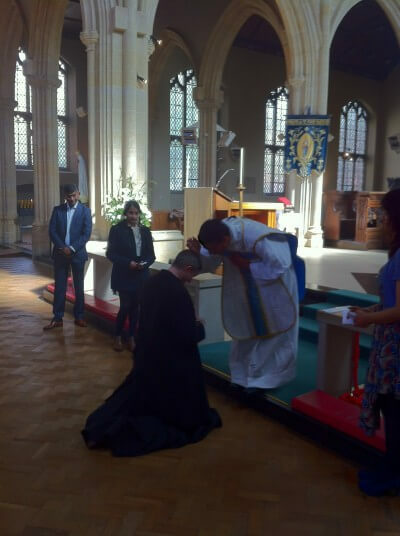 Fr Daniel, Fr Richard and some of our parishioners were able to travel to Leicester on Saturday 12th September, the feast of the Holy Name of Mary, for the ordination to the priesthood of Kevin Athaíde. Fr Kevin is a Brother of the Secular Oratory and was one of our altar servers when he lived in Oxford. 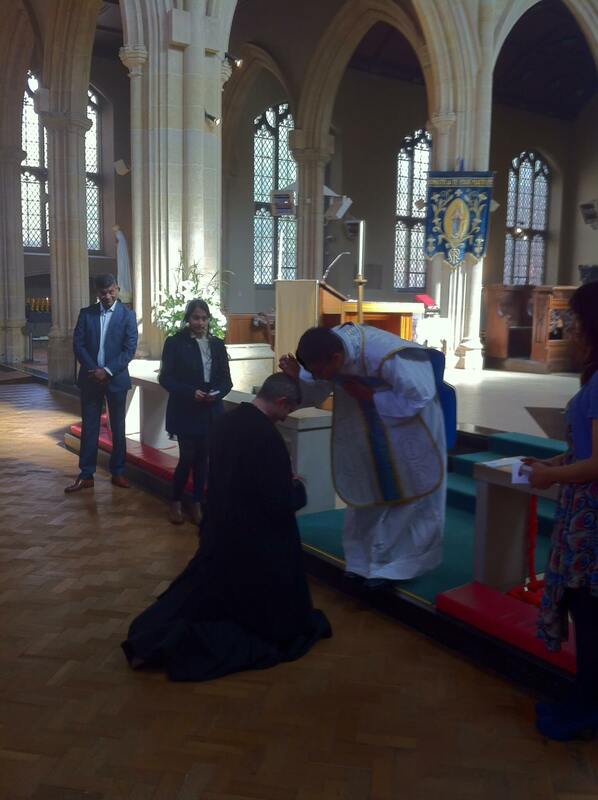 Fr Kevin was ordained for the Diocese of Nottingham, and the ordination took place in the Dominican Priory Church of the Holy Cross, Leicester. The Dominicans have had a presence there since 1247, with an interruption caused by the fanatical vandals of the sixteenth century.